The Federal Reserve's crackdown on foreign banks is a price of stability. 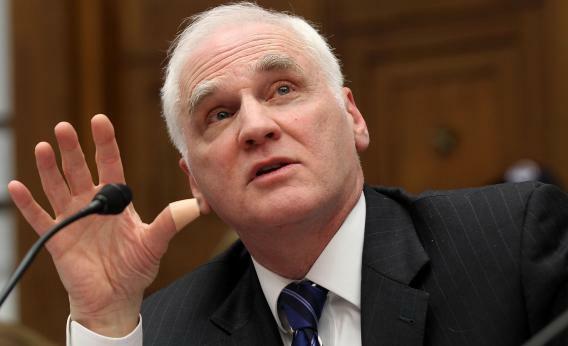 Federal Reserve Board Governor Daniel Tarullo has proposed a rule that would require big foreign banks to create intermediate holding companies for their U.S. subsidiaries. The Federal Reserve’s unilateral crackdown on foreign banks is necessary. The regulator’s requirement that overseas lenders properly capitalize their U.S. arms is a prudent way to protect the local and global financial system. The Fed’s approach could prompt other regulators to follow suit. But the fear that fragmentation could stifle global banking looks overblown. The proposed rules, spearheaded by Fed Governor Daniel Tarullo, would require big foreign banks to create intermediate holding companies for their U.S. subsidiaries. These entities would be required to comply with the same capital standards as the homegrown lenders that the Fed already regulates – even if the parent bank has capital to spare. And if the institution’s U.S. assets are $50 billion or more, the subsidiary also needs a 30-day buffer of liquid assets. Some bankers are concerned that the Fed’s locally-minded approach could catch on elsewhere: British regulators have already made similar demands of European banks with large operations in the City of London. If capital is trapped in local markets, it will be harder for banks to expand lending in other parts of the world. This makes operating in multiple jurisdictions more costly – and could crimp economic growth. Yet even if so-called subsidiarization becomes the norm, a slightly less efficient system of allocating capital seems a small price to pay for a more stable banking system. Besides, the Fed can credibly argue that Wall Street’s position in global finance makes the United States a special case. It hosts one of the largest, and deepest, capital markets on the planet and trades in the world’s most coveted currency. The fountain of available short-term funding makes foreign bank subsidiaries – particularly those with a big presence in the repo market – vulnerable to financial shocks. If the bank’s parent company – or its home government – is unwilling or unable to plug the hole, U.S. taxpayers could potentially be on the hook. The Fed’s rules will be painful for the likes of Deutsche Bank, which could be forced to inject billions of dollars into its U.S. subsidiary. Still, the Fed’s proposals should make one of the world’s financial hubs – and by implication the global system – safer.